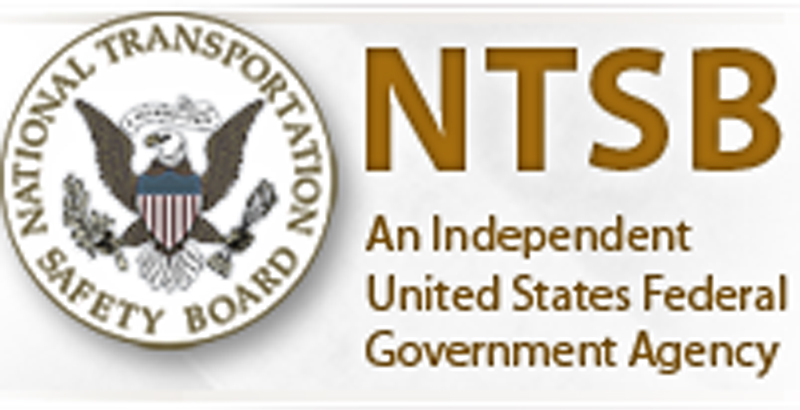 SCVHistory.com | Aircraft Down | NTSB: Probable Cause Report, Fatal 2013 Acton Movie Helicopter Crash, 6-18-2015. Report approved June 18, 2015. The pilot was hired to fly the helicopter for the production of a reality television show. The tentative plan scripted for the production shoot called for an actor to drop a backpack to the ground while the helicopter was in a hover to enable the cameras to film the airborne actor, the backpack receiver on the ground, and the helicopter executing the mission. Two shots were needed of the backpack being dropped, and they were to be done by two different actors at two separate locations at a movie ranch; the accident occurred during the filming of the second shot. Recovered audio and video recordings from inside the helicopter revealed that the first bag-drop flight occurred around 2100, lasted about an hour, and consisted of four actual bag drops. During the first flight, the pilot made numerous comments about not being able to see the drop zone due to the dark night conditions and had the actor guide him with verbalized visual cues to ensure that the helicopter remained clear of trees. Several of the pilot's comments indicate that he was trying to be amenable to the production company's requests, and, although he did not directly communicate that he could not comply with some of them, he repeatedly remarked on the limited visibility and the brightness of a flexible light pad affixed to the center windshield frame in the cockpit. After the flight, he expressed his appreciation to the ground crew for not pressuring him and giving him the opportunity to perform multiple passes. The second bag-drop location was on a plateau close to the landing zone and was situated about 85 ft above a dry riverbed. The plan was for the helicopter to maneuver toward the plateau while ascending from the riverbed. There were no lights in the river valley; however, the production crew had placed lights on the plateau and glowsticks and another light on the sloping terrain leading up from the riverbed to the top of the plateau. The flight began around 0330 and was conducted with the pilot in the right-front seat, the actor in the left-front seat, and the camera operator in the left-rear seat. The flexible light pad was cupped to direct the light toward the actor's face. Before takeoff, the camera operator asked the pilot if they could try to use the light pad, and the pilot responded, "we'll see, it just really [sigh] blinds me." The camera operator then showed the actor how to operate the light pad. The actor turned it on to the lowest setting, and the camera operator remarked that it was bright but that they would see what the pilot thought; the pilot did not comment. During the initial takeoff and while maneuvering over the dry riverbed, the actor continued with scripted dialogue for about a minute until the pilot intervened to state that he needed the light pad turned off. The camera operator acknowledged him and informed the actor to turn off the light by pressing a button twice. The actor leaned forward to turn off the light, and, 8 seconds later, the camera operator announced, "where did uh, we're going down low," indicating that he was temporarily disoriented and then noted that they were descending. The actor cycled through the light's settings and eventually turned it off while the pilot simultaneously stated, "okay, okay, I can't." The camera operator interrupted saying, "pull up, pull up." The helicopter subsequently impacted terrain in the dry riverbed. Postaccident examination of the wreckage revealed no evidence of mechanical malfunctions or anomalies that would have precluded normal operation. The pilot recognized on the first flight that he was operating with reduced/no visibility and with a bright light in the cockpit that "blinded" him when it was on but chose to proceed with both flights likely because he believed that was what was required to fulfill the production requirements. Despite recognizing the hazards of the operation and relaying his concerns to the ground crew and camera operator, the pilot was the only person knowledgeable about helicopters. As the pilot, he was responsible for the safe operation of the helicopter and should have initiated the measures necessary to ensure that the helicopter's internal lighting and the lighting on the ground would enable him to conduct the flight in a safe manner. The accident occurred during the hours of darkness on a moonless night over minimally lighted terrain. According to Federal Aviation Administration (FAA) guidance, these conditions can result in illusions that make it difficult for a pilot to visually determine altitude, depth perception, and orientation, and often create the illusion that the aircraft is at a higher altitude than it actually is. Additionally temporary blindness, caused by an unusually bright light, may result in illusions or after images until the eyes recover from the brightness. Based on the dark night conditions, the minimal ground lighting, the bright light in the cockpit, and the absence of preimpact mechanical anomalies, the pilot was likely temporarily blinded by the light, lost visual reference to the ground, and then flew the helicopter into the ground. Before the accident flight, the company submitted, and an FAA inspector subsequently accepted, a proposed Motion Picture Plan of Activities (POA). During his review of the accident flight's POA, the FAA inspector had an opportunity to examine the proposed flight and location and determine if the proposed flight activities would be safe, but he failed to identify that the flight would be conducted on a moonless night over terrain with limited ground features and lights and to assess whether the equipment that would be used for lighting and filming would enable the pilot to conduct the flight in a safe manner. It is likely that, if the inspector had been fully aware of the conditions of the intended operation, he might have identified that the proposed flight activities were potentially unsafe. Although the accident occurred outside the time that the POA was valid, that did not contribute to the accident. The pilot's decision to conduct a flight in dark night conditions with an illuminated cockpit light that degraded his visibility and his ability to identify and arrest the helicopter's descent while maneuvering, which resulted in controlled flight into terrain. Contributing to the accident was the Federal Aviation Administration inspector's failure to identify the video production's flight as being potentially dangerous during the review of the proposed flight activities. On February 10, 2013, about 0330 Pacific standard time, a Bell Helicopter 206B JetRanger, N59518, collided with terrain shortly after departing from a landing zone (LZ) on a movie ranch near Acton, California. Orbic Air, LLC was operating the helicopter under the provisions of 14 Code of Federal Regulations (CFR) Part 91. The commercial pilot and two passengers (an actor and a camera-operator) sustained fatal injuries; the helicopter sustained substantial damage. The local flight departed the LZ about one minute prior to the accident for the purpose of shooting an aerial video sequence. Dark night visual meteorological conditions prevailed, and no flight plan had been filed. The helicopter was being used for the filming of a reality television show. The pilot and several members of the production crew had scouted the movie ranch location a few weeks prior, at which time they discussed the helicopter's maneuver possibilities, equipment needed, and filming planning. Following that meeting, the pilot filed a Plan of Action (POA) waiver with the Federal Aviation Administration (FAA), and the filming day was scheduled for the evening of February 9th. The tentative plan scripted for the production shoot called for an actor to drop a backpack to the ground while the helicopter was in a hover, enabling the cameras to film the airborne actor, the backpack receiver on the ground, and the helicopter executing the mission. There were two shots needed of the backpack being dropped, to be done by two different actors, at two separate locations, both of which were at the movie ranch. The pilot departed on February 9 about 1645 from the helicopter's base at Van Nuys Airport, Van Nuys, California, with about 55 gallons of fuel onboard and an additional 10 gallons of fuel in plastic containers. The helicopter arrived at the LZ, and about 1730, the pilot conducted a safety meeting with the production crewmembers, briefing them of the potential hazards of having the helicopter on-site. The pilot unloaded the fuel containers and removed the left-side doors. A Canon EOS 300PL video camera was used by the rear-seated camera operator on both a prior flight and the accident flight, as was a Sounds Devices 702T audio recorder. A GoPro Hero camera was installed on the upper windshield frame to film the actor on the accident flight. Additionally, a 3-mode FLEXiT flexible light pad was affixed to the center windshield frame with a grip clip and cupped to direct the light toward the actor's face for the purpose of the GoPro recording. The actor and camera-operator additionally had headlights with red and white light settings and there was a dim white map light installed on the helicopter between the actor and pilot on the bulkhead. NTSB investigators recovered audio and video recordings from these devices at the accident site, and a recorder specialist with the NTSB Vehicle Recorder Division downloaded and synced the files together and created a partial transcript that is contained within the Recorder Specialist's factual report available in the public docket for this accident. The first flight began around 2100 and was conducted with the pilot in the right-front seat, the actor in the left-front seat, and the camera operator in the left-rear seat. The flight's duration was about an hour and consisted of the pilot performing four bag drops over a predetermined drop zone (an open clearing surrounded by trees) located a few hundred yards away from the LZ. While the helicopter made a pass over the drop zone, the actor would drop the backpack, and then they would return to the LZ to retrieve the backpack and discuss the necessary changes in the flight to capture the correct shot. Prior to departure, while the pilot was waiting for the engine to warm up, a conversation ensued between the pilot, actor, and camera operator about the lighting being used inside the helicopter. The camera operator stated that he wanted to ensure the pilot was comfortable with the FLEXiT light and instructed the actor to turn it on by clicking it 3 times. Upon the light coming on, the pilot responded "whoa, that is, that did change a bit." The camera operator then instructed the actor to "click it down, uh, once." The pilot stated "okay that's better," followed by making a request to the actor to move the light a certain way the actor confirmed. The camera operator added "you know we can turn it off once we're airborne." The pilot did not make a verbal acknowledgement and began talking to the ground crew. The camera operator interjected to the actor about turning his headlight off. The camera operator then asked the pilot if the actor should turn his headlight off to which the pilot said yes. The helicopter departed and was en route to the drop zone when the pilot established communication with the ground crew again. He interrupted his communication and stated "okay, I gotta lose that light for right now guys," and "I can't see." About 10 seconds later, he told the actor that his headlight had to be turned off. Several seconds later the pilot communicated with the ground crew that they were "getting acclimated to the light here." As they neared the drop zone the actor asked, "want me to turn the light back on or we just staying with it off?" The pilot then told the actor that he would have to spot him because he was unable to see, which the actor acknowledged. After the bag drop, they returned to the LZ. Ground crew radioed the pilot to ask if it was possible for him to slow the helicopter down more over the drop zone. The pilot responded that he would do that and was "just getting acclimated" and could not "see anything and especially the ground that's underneath me." A little later, the ground crew stated "just to be clear, I know that you are having site issues, but the goal is a slow hover and then a drop from there," which the pilot acknowledged. The ground crew later asked if the pilot was able to see the glow sticks on the ground, and the actor told the pilot that he was able to see the glow sticks. The pilot then told the ground crew that the actor was able to see the glow sticks and said "I can't see anything, so he's got to walk me through." On the second bag-drop attempt, the pilot had to perform a go around stating that, "I can't uhh see where the ground is here." On the next attempt, the actor guided the pilot by giving visual cues near the bag drop zone for about 3 minutes until the bag drop occurred. About 15 seconds after, the ground crew asked, "is it possible to do an even slower hover than that?" The pilot responded by saying "yeah it's just uh, there's, I have to have a visual cue to see something around me." While en route back to the LZ, the pilot asked the ground crew if they could arrange with the vehicles located near the drop zone to turn their headlights on so he could have a sense of depth perception and would be able to see a little better. They briefly discussed how the bag drop went, and the pilot again said that if the headlights on the vehicles were illuminated then "I can see the ground and then I can judge my speed… I have no rate of speed up here." A few minutes later, after discussing the next drop briefly, the actor commented that he didn't have enough time to release the bag and told the pilot "to make sure it doesn't keep moving forward..." The pilot responded saying that would be difficult because there was "no depth perception… you can't see anything." Over the next eight minutes, there were requests from the ground crew and actor for the pilot to hold a hover to which the pilot replied that the helicopter was not capable of the hover they desired and that "the key to the hover is being able to see something." The third bag drop was accomplished and again there was discussion about the next drop with regard to the actor and ground crew requesting a low hover or for the pilot to reverse the helicopter. The pilot said that would be difficult for him to perform without better visual cues and continued with him mentioning the safety risks of hovering backwards, concluding with "I can't see enough to hold the hover." The fourth bag drop was conducted with the actor guiding the pilot with verbalized visual cues near the drop zone and then they returned back to the LZ. The pilot queried the camera operator about the footage obtained and emphasized that safety is a priority. The pilot relayed his appreciation to the ground crew of not being pushed when flying at night, in an out-of-ground effect hover, with no visual cues. He added that it was "just the nature of the show" and that this is why he needed to do a couple of passes. The production crew and pilot had a catered meal break at 2300, and the pilot rested in a trailer for about 1.5-2 hours. The next filming location was about 1,500 feet southeast of the LZ on a plateau located east of a north-south oriented valley. A dirt road ran along the plateau's edge (which was also the valley's eastern ridgeline), and the terrain west of the road sloped down about 85 feet to another dirt road. The terrain continued to gradually slope down from that road into the valley and dry riverbed that stretched about 1,000 feet to the west. There were no lights in the valley. After his rest, the pilot went to the plateau to view the lighting situation and discuss with the director and other production crewmembers the second, and final, backpack-dropping mission. The helicopter was to hover at the west side of the valley and then maneuver east toward the plateau. The helicopter would then ascend from below the ridgeline with its left side in view for the actor to be filmed dropping the bag onto the plateau. There were two cranes set up with light directed toward the area of the plateau where the bag was to be dropped. The pilot requested that another smaller light be erected to illuminate the sloping terrain just below the dirt road (illuminating the ridgeline). He additionally requested that glow-sticks be placed in line on the slope to lead up to the drop zone. Both of the lighting requests were granted, and the director and pilot agreed on the scene and maneuvers to be performed. After removing frost from the main rotor blades and windshield, the pilot departed the LZ about 0330 with a different actor in the left-front seat and the same camera operator in the left-rear seat. Witnesses observed the helicopter depart normally and fly toward the plateau from the west. According to some of the witnesses while the helicopter was maneuvering about 60 miles per hour, it pitched down and collided with the terrain below the ridgeline. The GoPro recording started with the actor and camera operator settling into the helicopter. A little over a minute thereafter the pilot is heard telling the actor that he may need to turn off his headlight. The actor inquired if he could keep it on the red light to which the pilot responded that would be fine but "I just can't have you looking at me." The camera operator then asked the pilot "do you think we can try one click on the LED lights?" The pilot responded, "we'll see, it just really [sigh] blinds me." The camera operator then began to speak to the actor and verbally instructed him on how to operate the FLEXiT light. The actor clicked the button, and the cockpit area illuminated. The camera operator remarked "that's two LEDs…that's pretty bright" and then remarked that they will see what the pilot says. As the pilot started the engine, the camera operator further clarified to the actor that two more clicks of the button would turn the light off. About seven minutes into the GoPro recording, the Canon recording began, providing a view of the cockpit from the camera operator's perspective. The FLEXiT light had 2 of its 16 LED lights illuminated (indicating it was in its lowest intensity position) and was folded toward the actor. During takeoff from the LZ, the actor continued the scripted dialogue for about a minute until the pilot intervened saying, "I need to lose this light, this key light here." The camera operator acknowledged him and informed the actor to click the button twice to turn the light off. The actor reached forward to turn off the light. Eight seconds later the camera operator said "where did uh, we're going down low." The cockpit illuminated brighter twice and then went dark, an indication that the actor had turned off the light (over 12 seconds after the pilot's request). Simultaneously, the pilot responded "okay, okay, I can't…" and the camera operator interrupted saying "pull up, pull up." The helicopter impacted terrain 1 minute and 17 seconds after takeoff. The pilot, age 59, held a commercial pilot certificate issued in January 2006 with ratings for rotorcraft-helicopters and single and multi-engine land airplanes with an instrument rating (airplane). He additionally held a flight instructor certificate with ratings for rotorcraft-helicopters and instrument. He held a second-class airman medical certificate issued in March 2012, with no limitations. The pilot's personal flight records were not recovered. On his last application for a medical certificate, he reported a total flight time of 19,605 hours, of which 220 hours were accumulated in the last six months. In 2012, the pilot had flown 11 flights (equating to 37.7 hours) with Orbic Air, LLC, of which 7 were conducted in the accident helicopter for the purpose of aerial production. According to FAA records, the pilot was involved in two prior helicopter accidents. The first accident, LAX03LA027, was in 2002, and the NTSB determined that it was the result of the pilot's inadequate visual lookout and failure to maintain adequate clearance from transmission wires while operating a helicopter for a television production. The second accident, LAX04LA216, was in 2004, and the NTSB determined that the pilot landed hard during a filming operation following a momentary loss of engine power for undetermined reasons. A review of the FAA database revealed that neither the actor nor the camera operator held a pilot's certificate, and there was no information found to indicate that they had any knowledge of helicopter operations. The Bell Helicopter 206B2 JetRanger, serial number (s/n) 1322, was manufactured in 1974. A review of the logbooks revealed that the most recent 100-hour inspection of the airframe and engine was performed on January 24, 2013, at an airframe total time of 7,435.9 hours, equating to 6.3 hours prior to the accident. The powerplant, an Allison 250-C20B, s/n CAE831376, was last overhauled in March 1990, equating to 833.9 operational hours before the accident. The helicopter's flight log was located in the wreckage. Those records indicated that the last time the helicopter was flown was 6 days prior to the accident where another pilot flew for 3.4 hours and did not report any squawks. On the log, the pilot had marked down the Hobbs meter time when departing from Van Nuys, indicating that he had flown the helicopter for 1.5 hours prior to the accident. The helicopter was owned and registered to Van Nuys Copters, LLC and being operated by Orbic Air, LLC. Eyeworks USA, LLC, also doing business as Bongo, LLC, was the production company that had contracted Orbic Air to provide helicopter services for a reality television show they were producing. The pilot was operating under the movie manual of Crossbow Helicopters, a company that he owned. The pilot was listed in the insurance contract as being employed by Orbic Air, LLC. A routine aviation weather report generated by an Automated Surface Observation System at the airport indicated that about 5 minutes prior to the accident, the conditions were as follows: wind was from 260 degrees at 9 knots; temperature 66 degrees Fahrenheit; dew point 28 degrees Fahrenheit; and altimeter 29.60 inHg. The accident occurred during the hours of darkness. Data from the United States Naval Observatory indicated that the phase of the moon was waxing crescent with 1-percent of the Moon's visible disk illuminated. The sunset occurred at 1732, and the end of civil twilight was at 1758. According to the United States Naval Observatory astronomical data, at the time of the accident, the moon was below the horizon with a new moon occurring a few hours before. The accident site was located on a movie ranch, with the debris stretching over 110 feet from the first impact marking (toe of left skid) to the farthest debris found (portion of the tail rotor); the main wreckage was situated near the end of the debris path. The surrounding area was comprised of dirt and brush typical of the Southern California desert. The global positioning satellite (GPS) coordinates for the main wreckage were approximately 34 degrees 25 minutes 56 seconds north latitude and 118 degrees 14 minutes 36 seconds west longitude, at an elevation of about 2,415 feet mean sea level (msl). All pieces of the helicopter were found at the wreckage site with the exception of the two doors, which had been removed before the flight for the purpose of filming. A complete pictorial of the wreckage location and surrounding terrain is contained in the public docket for this accident. The main wreckage came to rest at the base of a plateau in a valley that contained dry creek beds and dirt roads. The LZ was about 1,500 ft from the accident site on a heading of about 340 degrees. The production crew that was filming was positioned on the plateau between the accident site and the LZ. The location where the bag was to be dropped was located upslope from the main wreckage. The Los Angeles County Coroner completed an autopsy of the pilot. The FAA Civil Aeromedical Institute (CAMI) performed toxicological screenings on specimens of the pilot. Analysis of the specimens contained no findings for carbon monoxide, cyanide, volatiles, and tested drugs. Following recovery, the wreckage was examined at a storage facility and the engine and fuel control unit (FCU) were sent to their respective manufacturers for teardown examinations. Investigators accounted for all major airframe components at the accident site with the exception of the two doors removed prior to the flight. Multiple main rotor control tube and pitch link fractures were observed, and all appeared to be consistent with overload. Both cyclic servos and the collective servo were observed in the cylinder support; the mounts for the servos were fractured. Manipulation of the swashplate inner ring (non-rotating swashplate) resulted in a corresponding movement of the cyclic control tubes and respective bellcranks. When the collective lever on the support assembly was manipulated, movement of the collective control tube and bellcrank were observed. The main rotor mast was fractured slightly below the main rotor hub assembly. One main rotor blade was fractured in two places; the other exhibited multiple fractures. The freewheeling unit was removed, and no anomalies were found. Examination of the tail rotor drive system revealed that the drive shaft fractures were consistent with overload. The tail rotor gear box chip detector contained no visible particulate matter. The tail rotor rotated freely in both directions when spun by hand, and corresponding rotation of the tail rotor gear box input shaft was observed. Oil was visibly present in the tail rotor gear box and on the lower portion of the vertical fin. One of the tail rotor blades was bent about 45 degrees and fractured in a manner consistent with overload. The three main transmission chip detectors were removed, and no visible particulate matter was observed. The transmission filter element was removed, and no visible particulate matter was observed. The engine-to-transmission drive shaft was intact, and the dots on the temperature dot strip appeared white. The N2 drive train was free and continuous from the 4th stage turbine wheel to the power takeoff gear during manual rotation. The N1 drive train could be rotated by hand and was continuous to the starter generator. The gas producer and power turbine were disassembled down to the rotors. The 1st stage turbine nozzle and nozzle shield displayed metallic spatter across the nozzle shield face and nozzle surfaces. The 1st stage nozzle was otherwise undamaged. Ingestion of small metallic debris was noted throughout the gas path consistent with the engine operating at the time of impact. All four turbine wheels were otherwise undamaged. The 4th stage turbine nozzle, which contains the blade tracks for the 3rd and 4th stage turbine wheels, revealed signs of heavy rub on both the 3rd and 4th stage blade tracks. The 4th stage nozzle also had a crack and was sent to the Rolls-Royce Metallurgy lab for examination and documentation. According to the lab's report, heavy oxidation on the surface of the fracture indicated that it was not related to or as a result of the impact. The accessory gearbox was undamaged and normal in appearance. The upper and lower chip detectors were removed and visually examined. Both chip detectors contained a small amount of metallic debris, which according to a Rolls-Royce representative, was consistent with normal operation. Investigators conducted examinations of the FCU and power turbine governor at Honeywell, the manufacturer. A functional test and complete disassembly of the FCU disclosed that there were no anomalies that would have prevented the unit from functioning normally. Disassembly of the impact-damaged power turbine governor revealed that there was no evidence of pre impact mechanical malfunctions. Post accident examination of the wreckage revealed no evidence of mechanical malfunctions or anomalies that would have precluded normal operation. Following an accident in 1982, accident number LAX82AA274, where three people died during an aerial filming operation in a helicopter, the NTSB recommended, Safety Recommendation A-84-016, and the FAA adopted regulations that require such operations to be conducted only by personnel who possess a Certificate of Waiver for Motion Picture and Television. To obtain a waiver, a Motion Picture and Television Operations Manual is required to ensure the operating and safety procedures are incorporated into that manual and, once accepted, it becomes part of the waiver. That manual is the standard by which a certificate holder must conduct all operations and within the manual is the Motion Picture Plan of Activities (POA). The POA is to be submitted three days before scheduled filming to the local Flight Standard District Office (FSDO) having jurisdiction over the area of proposed filming and details that filming location and operations to be conducted. According to the records of the FAA's Van Nuys FSDO, from October 2011 up to the accident date, 77 POAs were submitted, of which 11 were from the pilot. Of the 77 submitted, all but 3 were accepted, and the reasoning for those that were not accepted was either that they were out of their district or that no POA was required. Crossbow Helicopters most recent movie manual was reviewed and accepted by the FAA in November 2011. The FAA issued an acceptance letter of the accident POA for February 9, 2013, from 1600 to 2200. The POA had been submitted by Crossbow Helicopters and signed by the pilot on February 1, 2013. The general outline provided stated that the helicopter would be engaged in landing and takeoff activities at a secured movie ranch. It additionally stated that the helicopter would make approaches from 500 ft above ground level into the safety zone and that the area had been scouted and found safe to conduct the flight activity. The light placed in the cockpit for the purpose of illuminating the actor for the mounted GoPro camera was found within the wreckage. The Stiker FLEXiT Light was a flat red flexible silicone panel measuring 13 in by 7 in that contained 16 white 5mm LED lights. The light was equipped with 2 magnets for mounting and powered by AA batteries. The light was operated by depressing a button (3-mode electric switch) that would activate a low (2 lights illuminated), medium (4 lights illuminated), or high setting (16 lights illuminated), of which the highest setting would emit 128 lumens. According to the FAA's Helicopter Flying Handbook (FAA-H-8083-21A), chapter 13, "even in conditions in which visibility and ceiling are determined to be visual meteorological conditions, the ability to discern unlit or low contrast objects and terrain at night may be compromised. The ability to discern these objects and terrain is referred to as the 'seeing condition,' and is related to the amount of natural and manmade lighting available, and the contrast, reflectivity, and texture of surface terrain and obstruction features. In order to conduct operations safely, seeing conditions must be accounted for in the planning and execution of night VFR operations." According to the FAA's Aeronautical Information Manual (AIM), chapter 8-1-5 (Illusions in Flight, Featureless Terrain Illusion) "an absence of ground features, as when landing over water, darkened areas, and terrain made featureless by snow, can create the illusion that the aircraft is at a higher altitude than it actually is." The FAA's Airplane Flying Handbook, FAA-H-8083-3A, chapter 10, states the following about night flying: "Distance may be deceptive at night due to limited lighting conditions. A lack of intervening references on the ground and the inability of the pilot to compare the size and location of different ground objects cause this. This also applies to the estimation of altitude and speed." The handbook further states that "temporary blindness, caused by an unusually bright light, may result in illusions or after images until the eyes recover from the brightness. The brain creates these illusions reported by the eyes." According to the American Optometric Association, "while dark adaptation of the rods develops rather slowly over a period of 20 to 30 minutes, it can be lost in a few seconds of exposure to bright light. Accordingly, during night operations aircrew members should be taught to avoid bright lights." Also, "the instrument panel should be kept illuminated at the lowest level consistent with safe operation, and the flyer should avoid looking at exhaust flames, strobes, searchlights, etc. to avoid temporary flash blindness. If light must be used, it should be as dim as possible and should only be used for the shortest possible period."